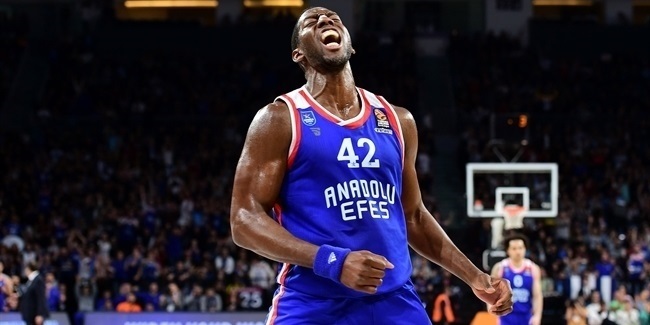 Anadolu Efes Istanbul has nowhere to go but up after finishing with the worst record in the Turkish Airlines EuroLeague last season. With head coach Ergin Ataman on the sidelines from the start this season and a revamped roster, especially in the backcourt, Efes is working hard so that its fans will have a lot more to cheer about soon. Efes did not have a good start to either of its last two EuroLeague campaigns. It went 0-3 in the 2016-17 season but managed to bounce back and reach the playoffs, only to start with five consecutive losses last season, from which the team never recovered. That gives the first home game of the new season, when Zalgiris Kaunas pays a visit to the Sinan Erdem Dome, added importance for the team. Zalgiris beat Efes twice last season on its way to the Final Four, a sweep that included a 70-86 drubbing in Istanbul. As a matter of fact, Efes lost its last three home games against Zalgiris, with its last home victory having come almost five years ago, in November of 2013. 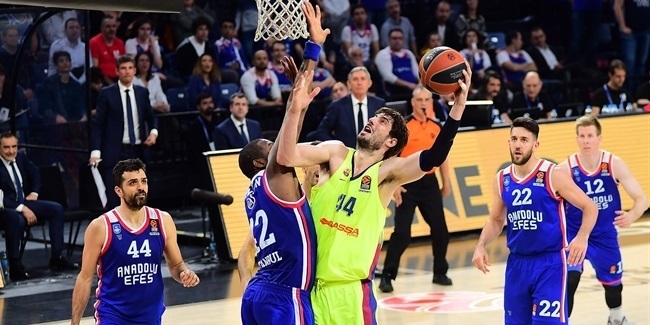 There will be a lot at stake for Efes early on this season, but winning the home opener against a Final Four team could make a lot of difference. Another October game will offer a big opportunity for Efes. In a city rivalry that has gone Fenerbahce's way in recent years, Efes will be tested again. Efes has only one victory in 10 head-to-head EuroLeague games between these two teams, all since 2013-14, when they met for the first time in the competition. Efes did edge Fenerbahce twice domestically last season, including one key triumph on the way to winning the 2018 Turkish Cup crown. However, Fenerbahce has also lifted last three Turkish League titles, and has won six of them since 2009, which was the last time Efes was the Turkish champion. Efes wants to reverse some of those numbers, and the change can start in Round 4. The reigning EuroLeague champion Real Madrid visits Efes in the first week of December for a Round 11 clash. As if a visit from a defending champ is not a big enough occasion, this one will also mark a stretch of four December matches in five rounds against EuroLeague powerhouses for Efes. After hosting Madrid, Efes will travel to Piraeus to play Olympiacos in Round 12. A week later, as the second game of a double-round week, Coach Ataman's goes on the road to face mighty CSKA Moscow for a Round 14 showdown. Then, in Round 15, it's another trip to end the calendar year by facing FC Barcelona Lassa. It will be a December to remember for Efes – and will tell us a lot about what Efes can do and how far it can go this season. Efes has another city rival in the EuroLeague, and it is Darussafaka Istanbul. Unlike with Fenerbahce, Efes has had mostly positive outcomes against Darussafaka in the past seasons, having won all four of their EuroLeague contests and also sweeping the same opponent in last year's Turkish League quarterfinals. In addition, the Round 19 game against Darussafaka will cap an Efes run of three home games in four rounds to start January – with FC Bayern Munich and Khimki Moscow Region coming to Istanbul in Rounds 16 and 18. Protecting home court in January can go a long way towards setting things up for the final stretch of the regular season. 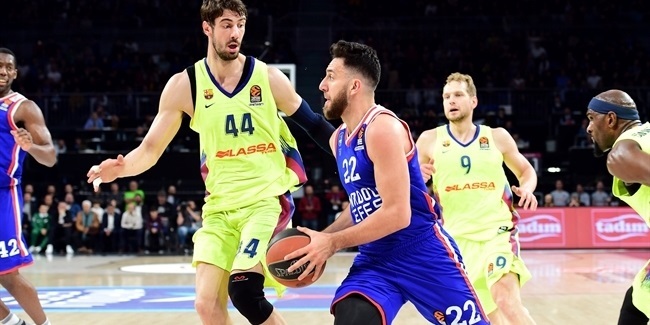 The penultimate week of the regular season sends Efes to Vitoria, site of the 2019 EuroLeague Final Four, to face KIROLBET Baskonia Vitoria Gasteiz. If they have not yet clinched playoff spots or been eliminated, this looms as a key game for both of these squads. In addition, it will be a special game for two new Efes players, point guard Shane Larkin and center Tibor Pleiss. Larkin will face a number of his former teammates in this game. He spent his only previous EuroLeague season with Baskonia, leading the team in points, assists and steals, as well as a playoff berth. Pleiss played two seasons with Baskonia, between 2012 and 2014. Larkin, Pleiss and Efes will hope that this Round 29 game will not be their only late-season trip to Vitoria.